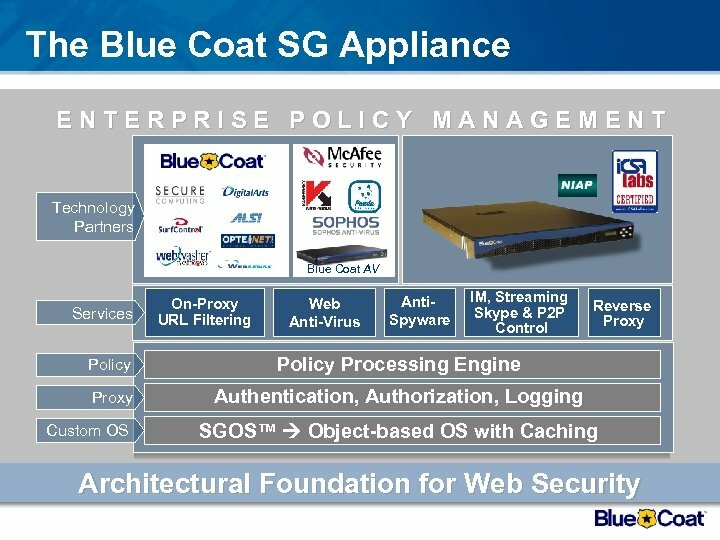 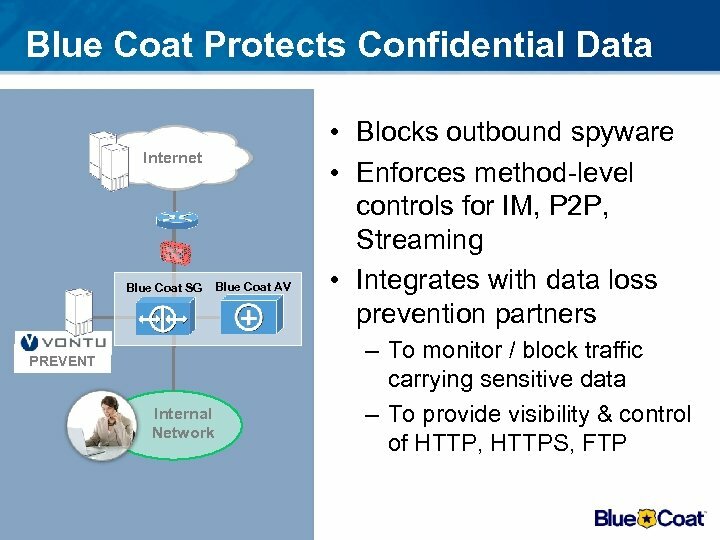 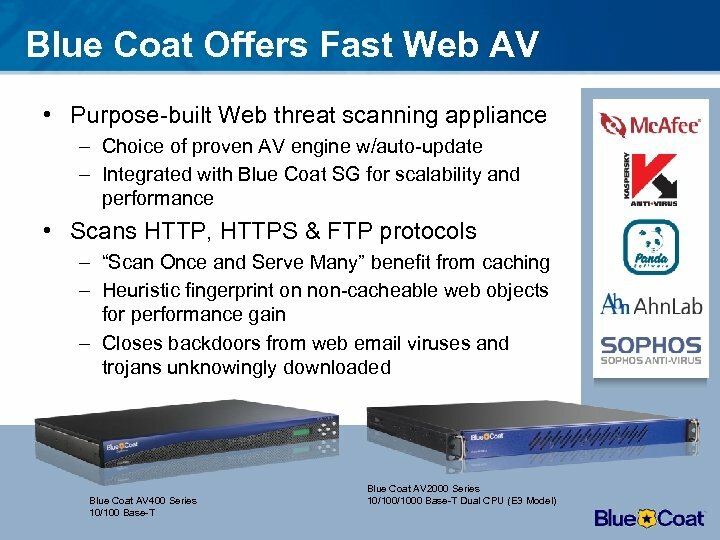 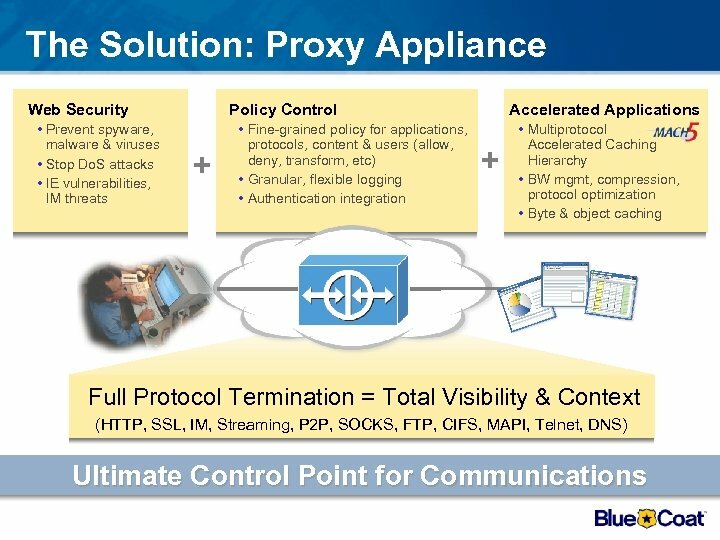 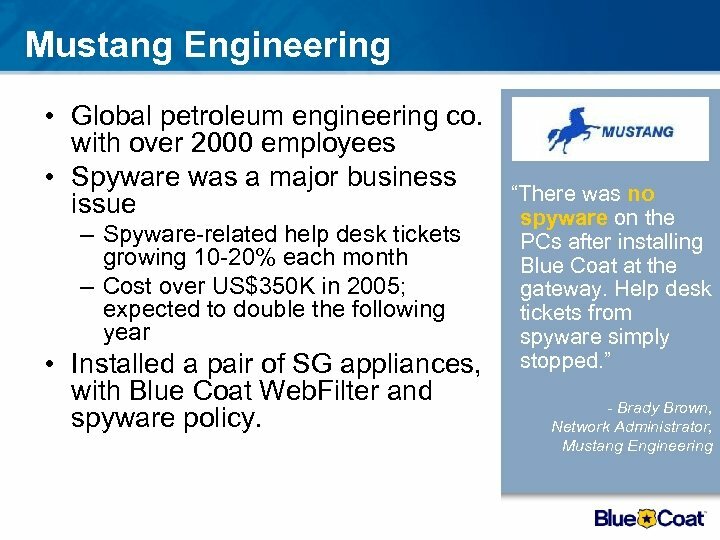 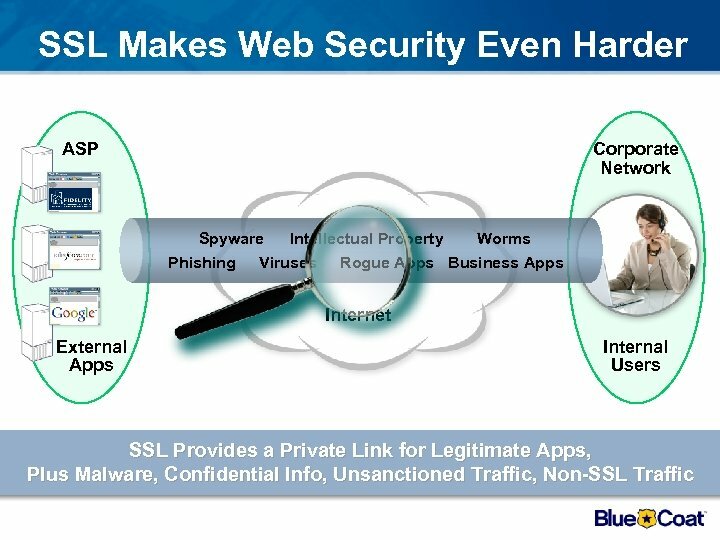 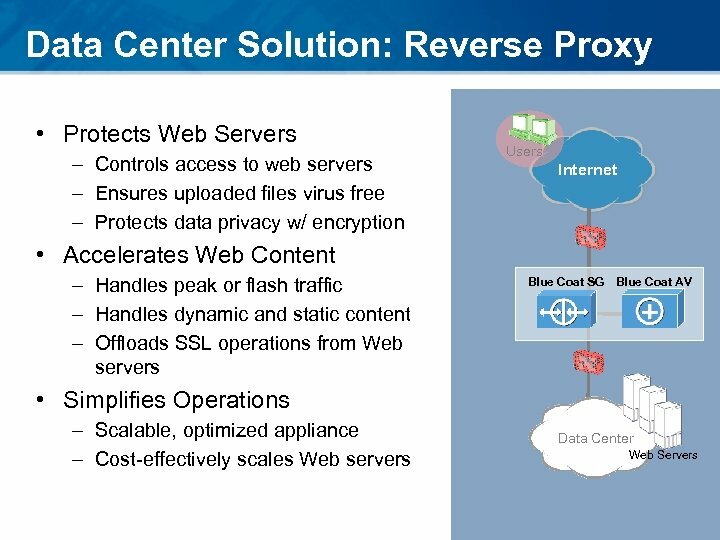 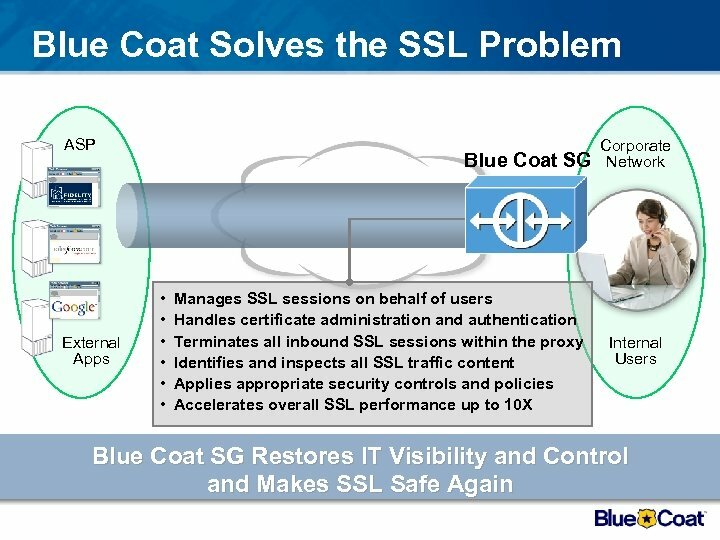 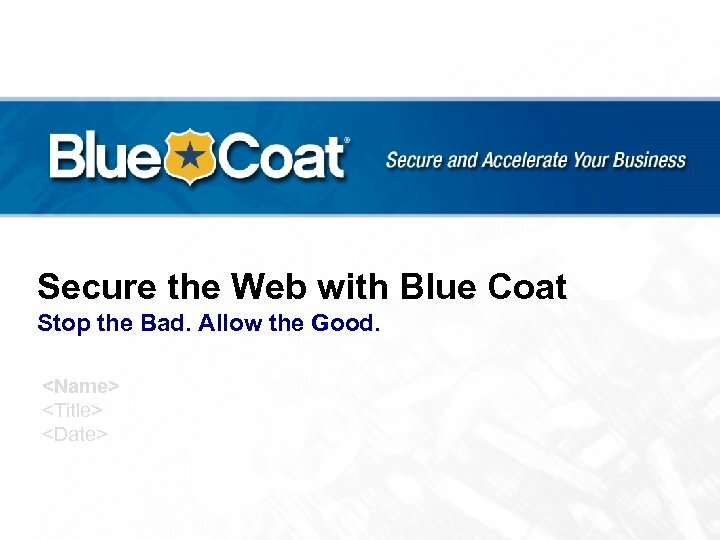 Secure the Web with Blue Coat Stop the Bad. 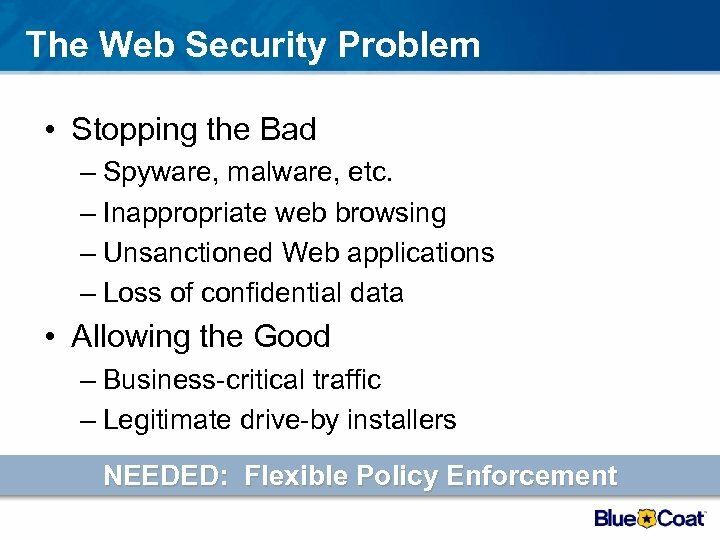 Allow the Good. 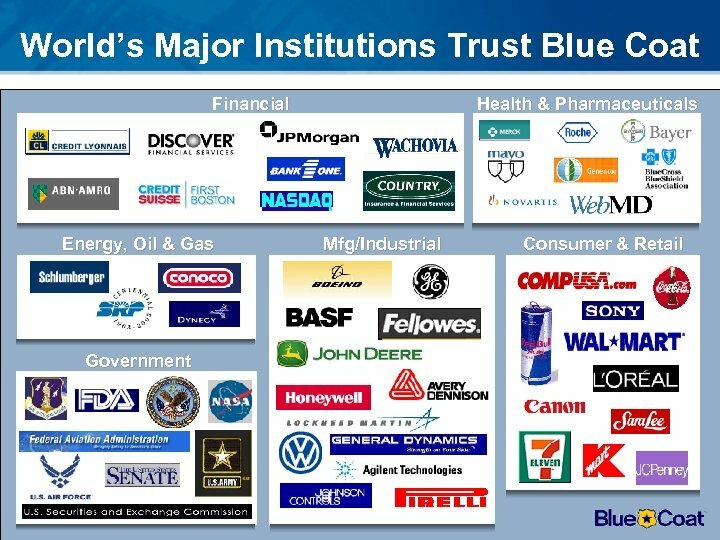 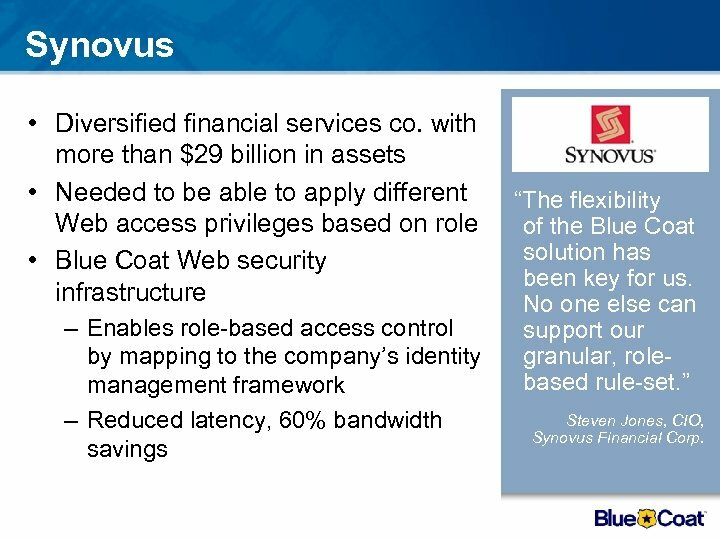 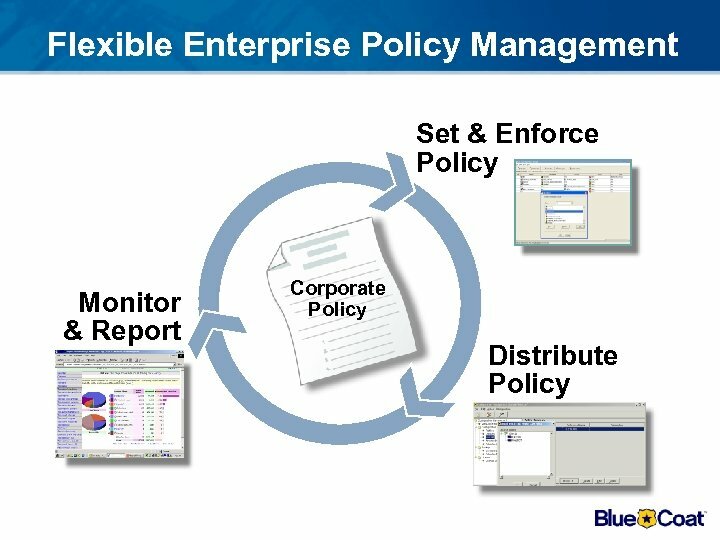 Synovus • Diversified financial services co. with more than $29 billion in assets • Needed to be able to apply different Web access privileges based on role • Blue Coat Web security infrastructure – Enables role-based access control by mapping to the company’s identity management framework – Reduced latency, 60% bandwidth savings “The flexibility of the Blue Coat solution has been key for us. 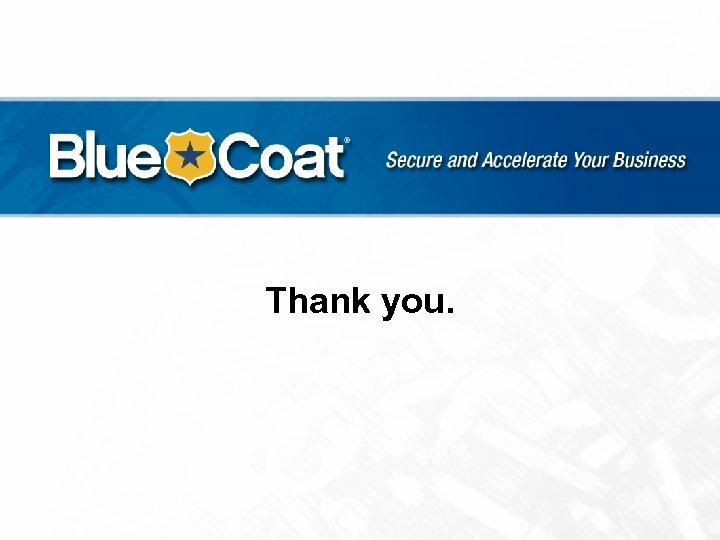 No one else can support our granular, rolebased rule-set. 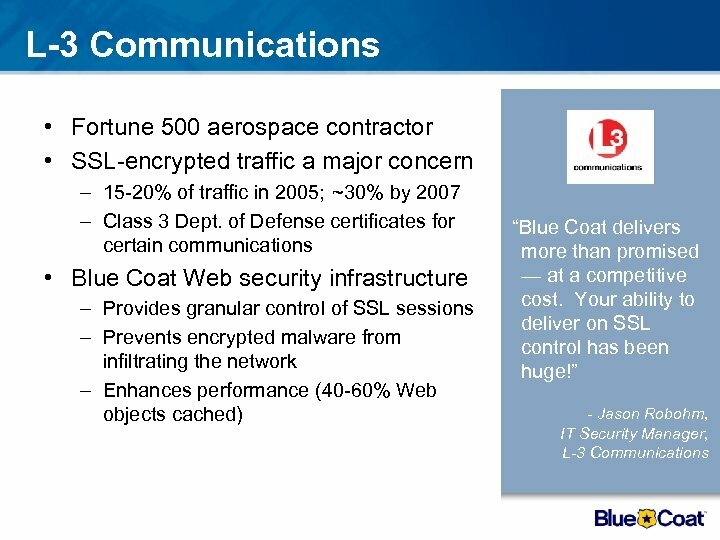 ” Steven Jones, CIO, Synovus Financial Corp.
Blue Coat Filters Web Content • Blue Coat Web. 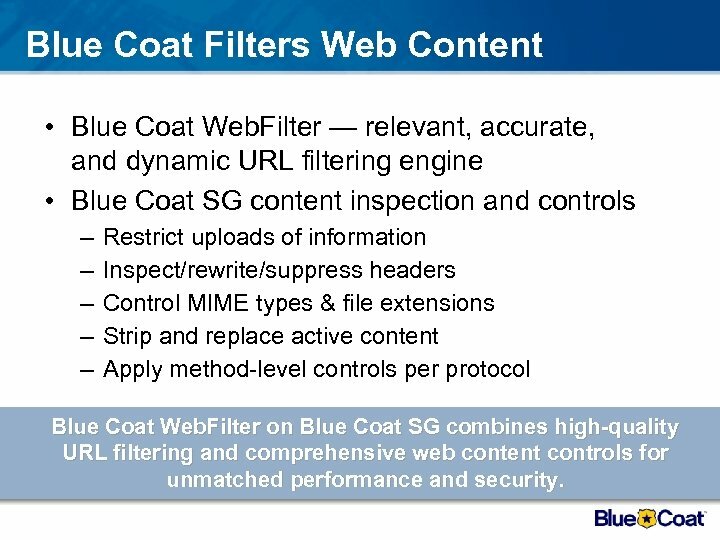 Filter — relevant, accurate, and dynamic URL filtering engine • Blue Coat SG content inspection and controls – – – Restrict uploads of information Inspect/rewrite/suppress headers Control MIME types & file extensions Strip and replace active content Apply method-level controls per protocol Blue Coat Web. 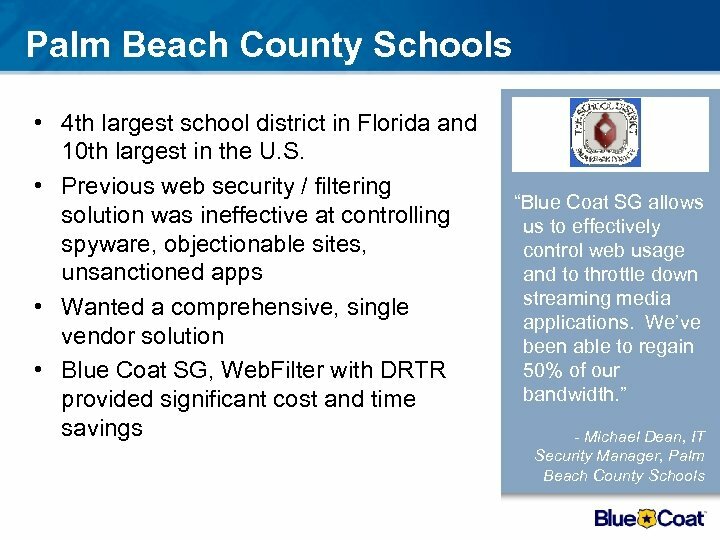 Filter on Blue Coat SG combines high-quality URL filtering and comprehensive web content controls for unmatched performance and security. 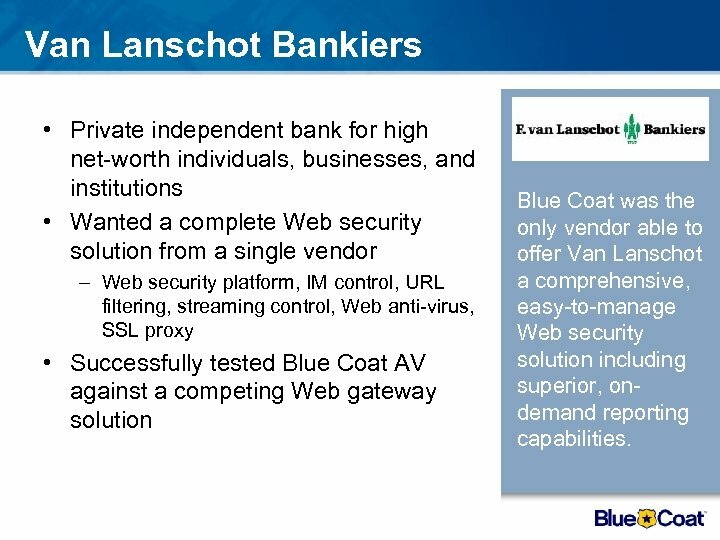 Van Lanschot Bankiers • Private independent bank for high net-worth individuals, businesses, and institutions • Wanted a complete Web security solution from a single vendor – Web security platform, IM control, URL filtering, streaming control, Web anti-virus, SSL proxy • Successfully tested Blue Coat AV against a competing Web gateway solution Blue Coat was the only vendor able to offer Van Lanschot a comprehensive, easy-to-manage Web security solution including superior, ondemand reporting capabilities. 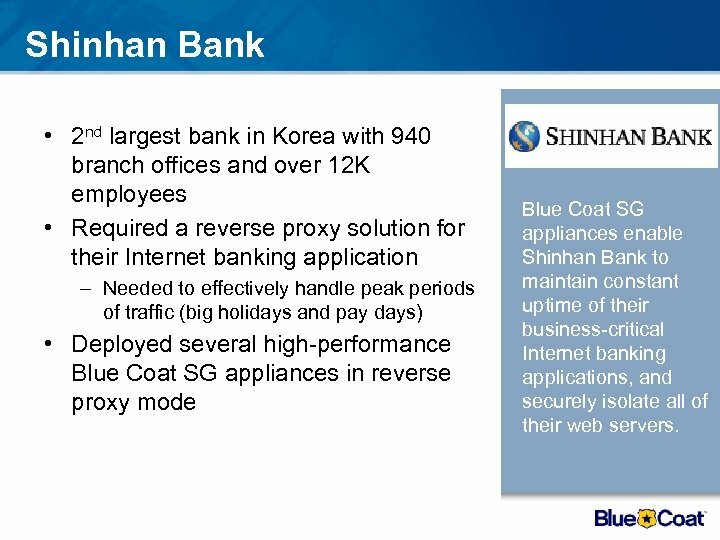 Shinhan Bank • 2 nd largest bank in Korea with 940 branch offices and over 12 K employees • Required a reverse proxy solution for their Internet banking application – Needed to effectively handle peak periods of traffic (big holidays and pay days) • Deployed several high-performance Blue Coat SG appliances in reverse proxy mode Blue Coat SG appliances enable Shinhan Bank to maintain constant uptime of their business-critical Internet banking applications, and securely isolate all of their web servers.